The Agrispread range of the spreaders are capable of spreading a wide range of materials including lime, fertilizer, fibrophos, sand, salt and poultry waste. Hydraulic control of the spinners and drop point adjustment ensure accurate spreading up to 36 metres depending on the type of material. A range of models are available from 3 to 16 cubic metres depending of the requirements of the customer. 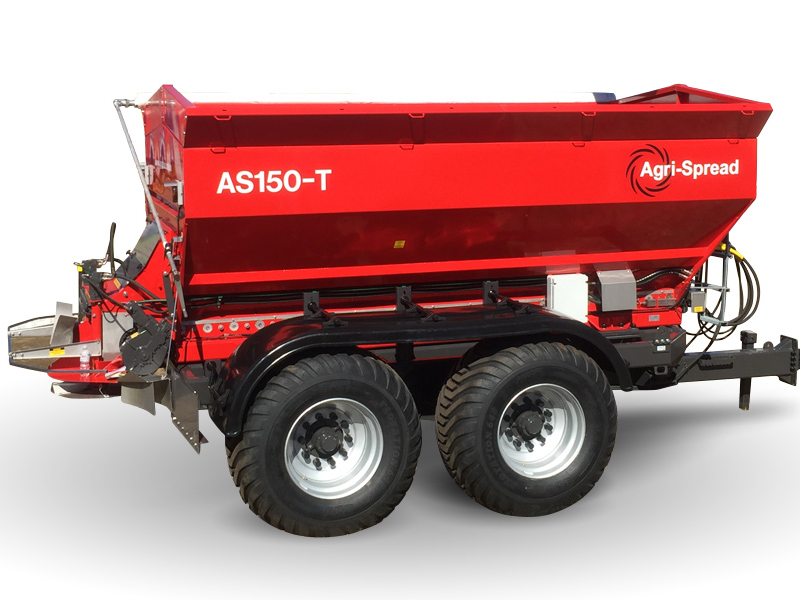 All Agrispread lime and fertiliser spreaders come complete with user-friendly test kits, allowing continuous testing of spread patterns, thus ensuring an even spread and ultimately a more cost-effective one. . The spreaders boast a number of unique features which ensure the accuracy of the machine will not be matched or beaten in the field. Full computerised, GPS and variable rate spreading kits are available as an option. Salt discs for road use. Independent hydraulic system for tractors with a low oil output.